Kim and Eric had dated for nine years and the common theme you would hear from all of their guests was "it was about time!" Their love for one another was infectious and I instantly fell in love with these two. Not only are they genuinely the nicest two people, but it is heart warming how caring they are for one another and all of their friends and family. 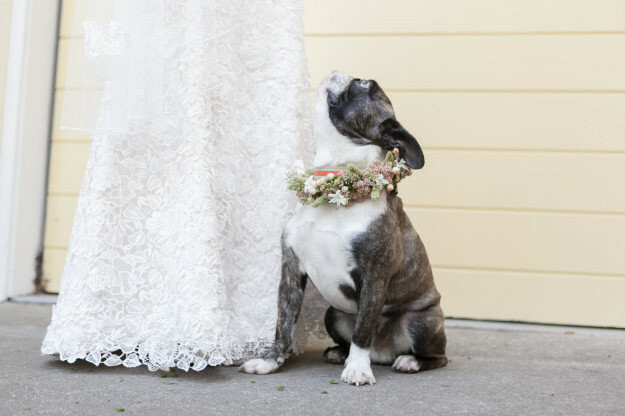 As a dog lover myself, I LOVED their sweet little pup and her wreathe....and the surprise doggie grooms cake was to die for. They had envisioned a romantic garden-inspired wedding at Saint Vincent's. After a sweet mass honored Kim's Mother, guests retreated to the courtyard adorned with twinkle lights and lush floral garlands. In combination with the soft neutral color palette you couldn't help but to believe you were in a romantic fairy tale. The night flowed on with tender toasts, handwritten wishes for the couple, and topped it off with a cigar and bourbon bar. 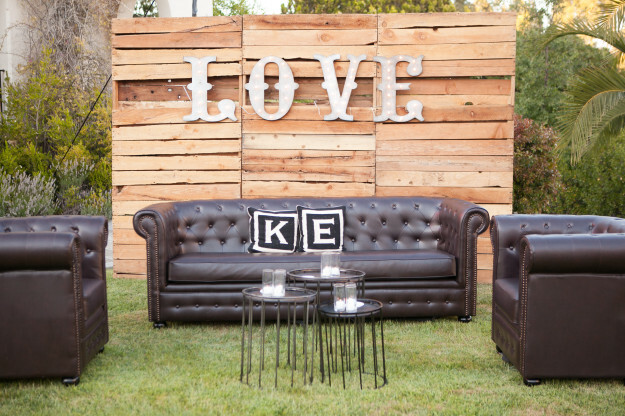 A private lounge with oversized sofa and chairs provided attendees a place to retreat and relax. Guests bid Kim&Eric a farewell as they lined the candle lit walkways with streamer wands to send the couple off in style as newlyweds. Nearly 9 years after we started dating in high school, Eric proposed to me on a warm summer night on the rooftop of our then San Francisco apartment. 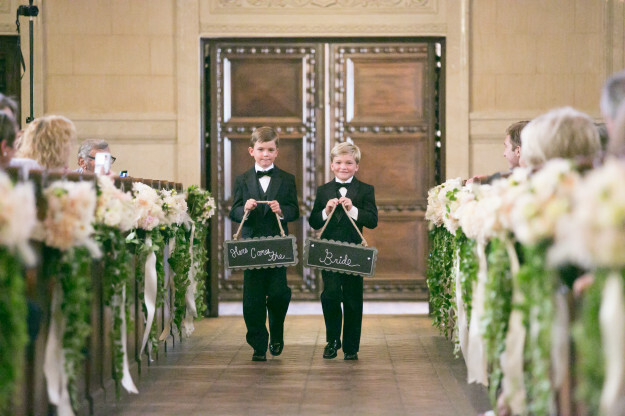 When we started thinking about wedding venues, St.Vincent School for Boys was the ﬁrst thing that came to mind. I had always wanted to get married there ever since I started attending church as a child. It is also a place very dear to both our hearts as it’s been a place where we’ve created several memories over the years. 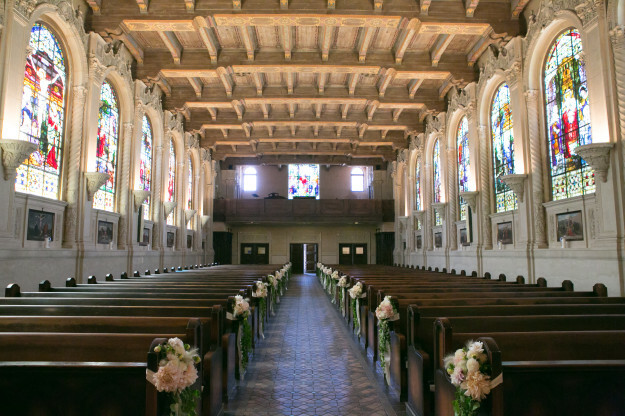 The chapel is absolutely stunning- tall ceilings with elaborate detail and stained glass windows throughout. It is beautiful on it’s own and hardly needed additional decorating. 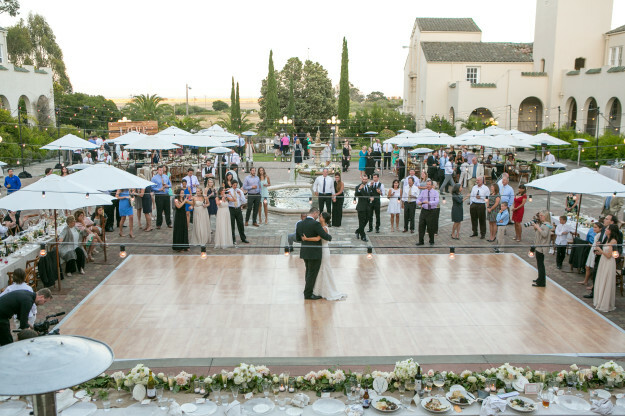 The surrounding grounds are equally as breathtaking with a lush courtyard for our cocktail reception and an additional courtyard for the dinner reception. 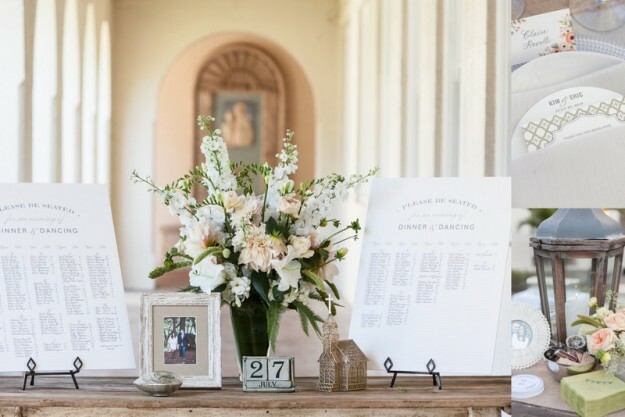 We wanted a wedding that truly felt like us with a cozy, intimate, and genuine vibe at heart. Planning a wedding that was a true reﬂection of us as a couple conveniently made all of our decisions easy; for a location, vendors, and other details we just picked our favorites!